Word And Spirit Intl' Ministries. 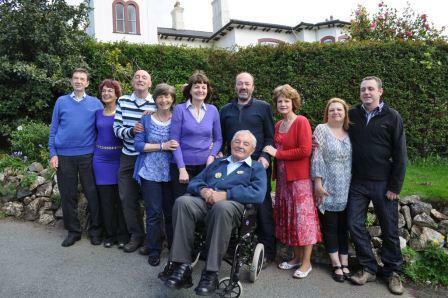 Arthur on his 100th Birthday with all nine children. Joe is third from the left. 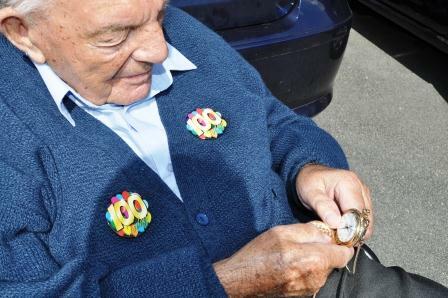 Arthur Burt 100 Birthday party. 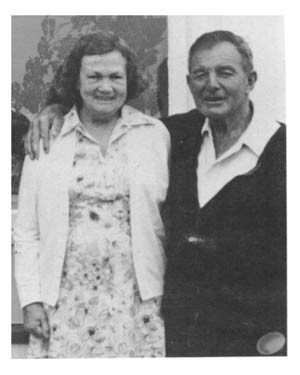 Marjorie and Arthur Burt, c1991. "a piece of paper blown by the wind from one place to another", but more often as simply a vessel of God's mercy. "If you ask me who I am, I will tell you. I am nobody, and the message I bring today is that every somebody will now have to become nobody. We must lose our identity in the body of Christ, because Father will not give his glory to anybody but Christ." When a prophet is accepted and deified, his message is lost! The prophet is only useful so long as he is stoned as a public nuisance; calling us to repentance, disturbing our comfortable routine, exposing our respectable idols and shattering our conventional traditions! CLICK HERE to listen or download MP3 Audio Files by Arthur Burt. The book 'Surrender' contains the two books above 'Boomerang' and 'The Lost Key' in one book. They can be found at Amazon or Ebay or various christian ministries.